A BESTA DA CAVERNA ASSOMBRADA (Beast From Haunted Cave, 59)- de Monte Hellmann, com Michael Forest, Sheila Noonan. -LC Terror trash !!! A CARROÇA FANTASMA (21)- de Victor Sjostrom, com ele e Hilda Borgstrom. Mudo, c/legendas. A MULHER VESPA (The Wasp Woman, 60)- de Roger Corman, com Susan Cabot, Anthony Eisley. -LC Terror Trash !!! A ÓRFÃ (Orphan, 09)- de Jaume Collet-Serra, com Peter Sarsgaard, Vera Farmiga. -LC Violento e surpreendente ! A QUEDA DA CASA DE USHER (28)- de Jean Epstein, com Jean Deboucurt, Marguerite Gance - mudo, leg. Cult !!! A TORTURA DO MEDO (Peeping Tom, 60)- de Michael Powell, com Karl Boehm, Moira Shearer, Anna Massey. -LC Um cult ! A TROCA (The Changeling,80)- de Peter Medak, com George C.Scott, Trish Van Devere, Melvyn Douglas -LC. ARLEQUIM (Harlequin, 80)- de Simon Wincer, com Robert Powell, David Hemmings. - L esp. ARRASTE-ME PARA O INFERNO (Drag me to Hell, 09) - de Sam Raimi, com Alison Lohman, Lorna Raver, Justin Long. _LC impressionante ! AS FEITICEIRAS DE SALEM (Les Sorcières de Salem, 56)- de Raymond Rouleau, com Yves Montand, Simone Signoret, Mylène Demongeot. O leg. ing. AS FILHAS DE DRÁCULA (Twins of Evil,71)- de John Hough, com Peter Cushing, Dennis Price. -LC . CONCERTO MACABRO (Hangover Square, 45)- de John Brahm, com Laird Cregar, Linda Darnell, George Sanders,. -L esp. CORRESPONDENTE ESTRANGEIRO (40)- de Alfred Hitchcock, com Joel McCrea, Laraine Day. -L.
CURUÇU, O TERROR DO AMAZONAS (56)- de Curt Siodmak, com John Bromfield, Beverly Garland.- Dub.esp.OC filmado no Brasil. DEIXA ELA ENTRAR (08)- de Tomas Alfredson, com Kare Hedebrant, Lina Leandersson. .- Leg.esp. FANTASMA (Phantasm, 79)- de Don Coscarelli, com A.Michael Baldwin, Bill Thornbury. -LC Arrepiante ! FOME ANIMAL (Braindead, 87)- de Peter Jackson, com Timothy Balme, Diana Peñalver. _LC Terrir !!! FOME DE VIVER (The Hunger,83)- de Tony Scott, com David Bowie, Catherine Deneuve, Susan Sarandon. -LC Um cult !! GÓTICO (86)- de Ken Russell.Inédito nos cinemas. Com Julian Sands, Gabriel Byrne. -OC e LC. 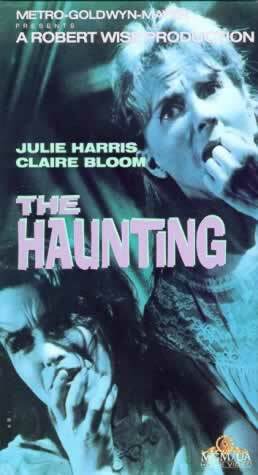 GRITO DE HORROR (The Howling, 81)- de Joe Dante, com Dee Wallace Stone, Patrick McNee. -LC. Lobisomens aos montes ! GRITO DE PAVOR (Scream of Fear, 62)- de Seth Holt, com Susan Strasberg, Ann Todd, Christopher Lee. -O -RARÍSSIMO !!! JOGO MORTAL (Sleuth, 72)- é o mesmo Armadilha Mortal. MEDO QUE DOMINA (The Unseen, 44)- de Lewis Allen, com Gail Russell, Joel McCrea. -O RARO !!! O ATAQUE DAS SANGUESSUGAS GIGANTES (Attack of Giant Leeches, 59)- de Bernard L.Kowalski, com Ken Clark, Yvette Vickers. -LC Terror trash !!! O CÉREBRO QUE NÃO QUERIA MORRER (62) - de Joseph Green, com Virginia Leith, Jason Evers. - LCTerror trash !!! O CIRCO DOS HORRORES (60)- de Sidney Hayers, com Anton Diffring, Erika Remberg. - LC Música-tema famosa. O ENIGMA DE OUTRO MUNDO (82)- de John Carpenter, com Kurt Russell. -LC.Refilmagem do clássico O Monstro do Ártico. O GABINETE DO DR. CALIGARI (19)- de Robert Wiene, com Conrad Veidt. -L, mudo, leg. MONSTRO DO ÁRTICO (The Thing,51)-de Howard Hawks, com Kenneth Tobey, James Arness.-- L- Um cult ! OS INOCENTES (62)- de Jack Clayton, com Deborah Kerr, Michael Redgrave, Pamela Franklin. -L. Arrepiante !! OS RITOS SATÂNICOS DE DRÁCULA (74)-de Alan Gibson, com Christopher Lee, Peter Cushing, . -LC. OS SOBREVIVENTES DOS ANDES (76)- de René Cardona, com Hugo Stiglitz, Norma Lazareno. _LC Impressionante ! RAÍZES DO MAL (Ondskan, 03)- de Mikael Hafström, com Andreas Wilson, Henrik Lundström. LC Cruel !! SANGUE RUIM (Bad Blood, 93)- de Chuck Vincent, com Georgina Spelvin, Linda Blair, Troy Donahue. -LC Haja fôlego !!! SEM SUSPEITA (95)- de Steven Schachter, com Christopher Reeve, Joe Mantegna, Kim Catrall. - LC. O último filme de Reeve, antes do acidente que o deixou tetraplégico. SOMBRA MALIGNA (Chase a Crooked Shadow, 56), de Michael Anderson, com Richard Todd, Anne Baxter. - dubl. esp. THE TOXIC AVENGER (85)- de Lloyd Kaufman, com Andree Maranda, Mitchell Cohen. Um barato !! -LC "Terrir". UM DRINK NO INFERNO (From Dusk Till Dawn, 95) - de Robert Rodriguez, com George Clooney, Juliette Lewis, Quentin Tarantino, Harvey Keitel, Salma Hayek. -LC. VOODOO WOMAN (57)- de Edward L. Cahn, com Marla English, Tom conway, Mike Connors. Orig., s/leg.